Not much going on this week on the Virtual Console front outside of Volleyball, but I have a theory. Once NES Remix 2 hits the eShop, that's when they'll likely release Super Mario Bros. 3. It makes sense, as SMB3 will be featured in the game...plus I don't have any other good ideas as to why SMB3 hasn't been released yet. However, there's still quite a bit going on with the eShops this week. 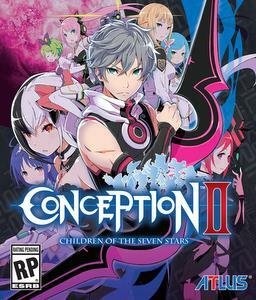 The 3DS is getting Pokemon Battle Trozei as well as a demo of Conception II: Children of the Seven Stars. If Pokemon Battle Trozei is anything like it's original DS counterpart it should be a fun game as it kind of blends Pokemon with Tetris Attack/Panel De Pon. Also, select games by Renegade Kid on the 3DS eShop will be 30% off until April 3rd, including Mutant Mudds, ATV Wild Ride 3D, and Bomb Monkey. If you haven't played Mutant Mudds yet, do yourself a favor and download the demo and check it out, it's a lot of fun. Over on the Wii U, all titles from Nordic Games are on sale until 9am PT on April 1st. These include Jeopardy and Wheel of Fortune if you need to get your game show fix. You can also get free access to Wii Sports Club this weekend starting tomorrow at 9am PT and ending 11:59pm PT on March 23rd.